ifnoonehastoldyou: the wing man (woman). "I see Boyder and ask him, yo can you take her fat friend?// He laughs and then digs in, hell yea i'll be your wing man"
3) Entirely TOO comfortable with the situation. "I mean my boy's getting kissed, why can't I?" BECAUSE I DON'T KNOW YOU. Duh. Despite these common attributes found in the "friend", woman continuously grab a wing woman for the first date. The home girl who called you in to be the wing woman is not concerned about your trauma from this situation. All she cares about is spending time with her love interest. She doesn't care if his friend is missing all his teeth, is slightly disrespectful, or if you've got something better you could be doing with your time. She'll always bust this line on you, "Just this one time. I really want to see him." But there will be a NEXT time, I promise you. She will try to convince you with everyone, that he might be "the one" and make you feel like you'll be ruining her chances of finding true love if you don't tag along. 1) Let someone know where you're going & who you're with. 2) Meet in a public place if you don't know him too well. Real men will find that you bringing along a friend is immature. If he's the one suggesting you bring a friend for his boy, he is the immature one. If he's truly serious about building a bond between the two of you, he won't need a wing man. That goes vice versa for you ladies. Double dates with men, you and your friend are ALREADY INVOLVED with, is okay. However, for initial contact....GO ALONE. Wing men/woman cause drama, he said & she said, and cross conversations. They're unnecessary and quite frankly, lessen the contact between you and the man you wanted to get to know. 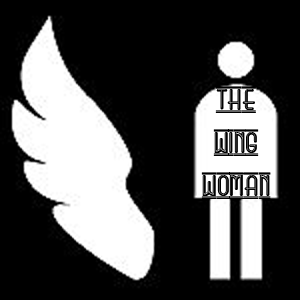 So do me a favor, call up your wing woman, take the wings from her back, attach them to yourself......and FLY SOLO. Lol. This is sheer hilarity. See what you should do is pull a Jasmine Sullivan. "SWITCH." If the friend they bring along looks better than they do, you can pull a fast one and drop the initial date. Or when you go out you gotta take it for what it's worth. When I am the wing man there are sometimes those general doses of awkward turtle, but I'm going to milk the situation for all that it's worth. Sometimes I just try to find out why the wing woman who is alongside her best friend is single too. We usually spark up an interesting convo, but really one has to find a way to separate the two really trying to be on their "date" and the wings who are just trying to make them feel better. Lol. It's not a perfect situation ever, but you gotta do what you can to try to avoid as many social ineptitudes as possible. lol. That's most def some real stuff. "And fly solo" . iLy Riv ! Whats ur FB? I can understand your point about being use by a friend who just wants to get his/hers. However, there are times when a "tag-a-long" friend can be helpful. That person can be your eyes and ears; picking up on "Mr Right's wrong, you might miss during the haze of a first date. So damn true that is just too funny. Flying solo...good advice.